Days after releasing a triad of videos via VEVO, eclectic singer Dann-I and his management have teamed up with the Spanish Town Prison to lend their support to the rehabilitation program at the facility. This is the singer’s first time stepping into that realm despite being an advocate for the socio-economically challenged youths throughout the years. 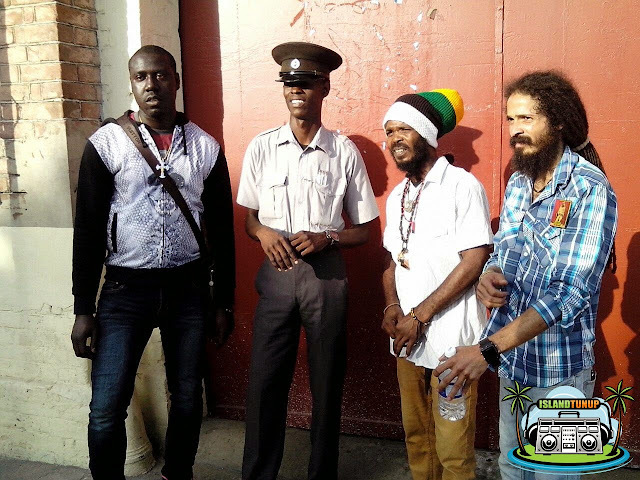 As part of the program, the soulful singer took time out of his busy schedule to mentor and perform for the inmates who were very receptive to the Spanish Town native. Dann-I also took time out for a few photo-ops with several officials at the facility prior to his departure. Ahead of an assignment in Brooklyn, New York, Dann-I is assiduously preparing to roll out an aggressive campaign for his current single Time Nuh Wait produced by Sons of Spoon Records. The single is now available on iTunes and other digital platforms.